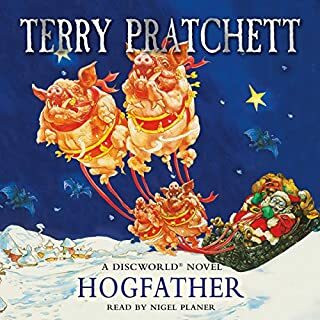 While listenable, I can’t help feel that the intelligence and complexity imbued might’ve stretched to a fine short story, but was too predictable otherwise. I found this much more enjoyable when listened at x0.75 speed. Being the curiously imaginative fiction that it is, I found it otherwise a great story, and good performance. 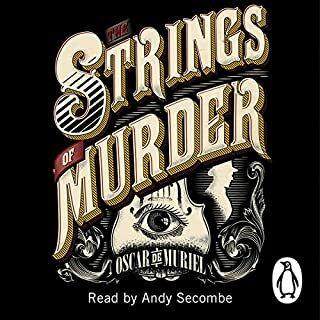 The characterisation was really good, as were regional accents, but I struggled with the pace of the narration. The narrator simply never paused for thought, effect, nor breath, so I found I'd drift off often and miss whole chunks. A decent story with interesting characters, but being Scottish myself, I found the narrator's Scottish accents to be excruciating. 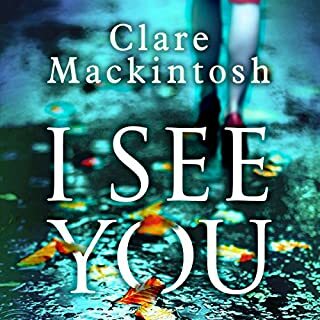 Without much originality or depth to the characters, I found what started as an interesting plot began to drag about half way through as the main character (and chief victim) narrated the more normal parts of her life: listening to your mum telling you about her week, presented as a thriller? 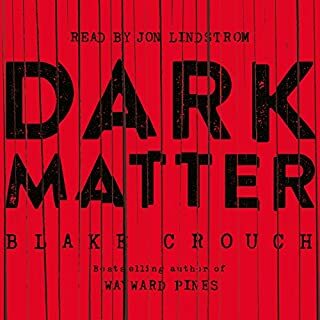 It's quite hard to follow a book where the main narrative of a gunslinger tracking the dark man in a western setting actually reveals little about itself, instead presenting a patchwork of breakaway threads into metaphysical realms of thought and alternate realities. 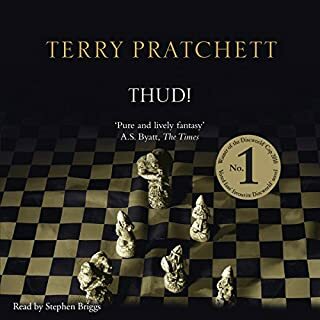 If this is akin to King's version of Tolkien's Leaf by Niggle, I understand it's a meta manifestation of the author's creative process, but this one's confusing as hell! Or possibly it is his own warm up exercise before starting an epic magnum opus in earnest, and thus not meant so much for the audience, but rather the author himself? 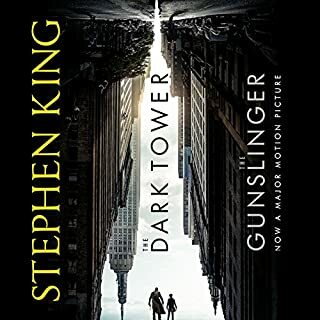 That all said, I had read enough reviews of the Dark Tower series before starting it to anticipate this one being a struggle. I am still going to move on to book two next. 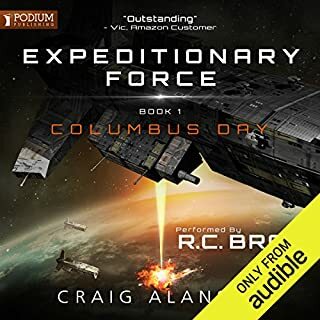 So this is a well-paced, entertaining sci-fi/military/action combo right up until about half way in...then it goes from "This is good" to "Ha! That's awesome!" RC Bray's delivery is top notch. 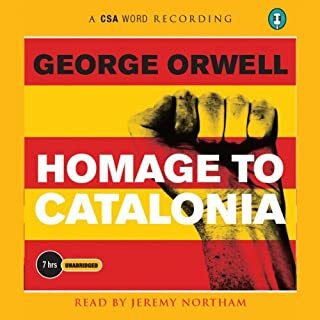 I've never been very politically savvy, so wholeheartedly appreciated the clear division between the first part of Homage To Catalonia as an experiential retelling of Blair's time in late 1930's Spain vs the latter appendices, which provided a commentary on the political situation of the time. That is not to say I didn't appreciate the appendices, I just may need to revisit them. I'm yet to digest it fully, but there is conviction here, which I found inspiring, and sadness in the same old strife and suffering from inequality that forever afflicts humanity, despite each generation of dreamers and fighters living and dying for the belief of human decency. There is also kindness and critique towards the Spanish & Spain here. As someone who grew up in Andalucia 60 years after publication, I found this quite humorous to still be generally accurate. 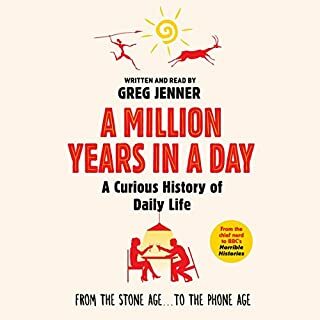 The content of this book should speak wonderfully for itself... but it doesn't get a chance, because Greg Jenner wants you to think he's funny; at least, that is how this audiobook comes across. Jenner constantly uses colloquialisms and vulgarity to try and achieve humour (thus reach?). Unfortunately, this results in a very forced and condescending delivery, which was irritating, and immensely distracting from the often interesting factual content. A hard, hard book to get through. The narration felt natural on this one once the story got rolling. 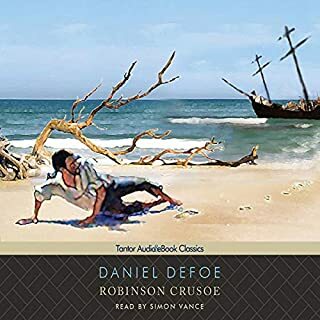 I appreciated the slightly northern accent in context of Crusoe hailing from Yorkshire. This is a relatively easy classic to digest...except for the nonchalant slave trade ventures and condescension towards all non-whites. Still, those reveal as much about the author's time than they do about Defoe.